After some years working as a research scientist, he retrained in law, obtaining Distinctions in the Graduate Diploma in Law and Legal Practice Course from the University of Law. During his scientific career he was a personal case worker for his workplace trade union. 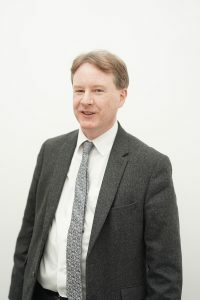 He volunteered as a specialist adviser in Housing Law with Darlington Citizens’ Advice Bureau and after obtaining his legal qualifications he worked with the charities Keyhouse and Foundation as a Paralegal providing advice and legal representation for households facing homelessness. Andrew has a particular interest in discrimination issues, especially where they relate to mental health. The majority of his past clients have suffered from some form of mental ill health, which is often a root cause of homelessness and of issues which lead to loss of a home such as rent arrears, inability to navigate the benefits system, and mental health related anti-social behaviour. Failures on the parts of landlords and local authorities to give proper consideration to the effects of these disabilities or to provide support to the sufferer can lead to possession proceedings being brought inappropriately, or to incorrect decisions about homelessness duties, all of which are susceptible to legal challenge. Andrew has also worked with EU migrants living in the UK in accordance with their free movement rights, who have ended up facing homelessness because of incorrect decisions about their entitlements to benefits or to help under homelessness law. Mental ill health is a significant cause of homelessness. Sufferers often end up in situations where they are unable to work or to manage claims for benefits, leading to possession proceedings, evictions and homeless applications. Sufferers are often isolated (or isolate themselves) and it is common for assistance not to be sought until the situation reaches crisis point. Recent Supreme Court judgments have strengthened the legal position of sufferers once a case reaches the courts or the Housing Options desk; however there is an urgent need for provision of advice and support much earlier in the process, to prevent unnecessary evictions and reduce the stress and fear of homelessness amongst an already vulnerable client group. The project will focus on developing a network of “early intervention” housing advice provision in the Leeds area, working in harmony with existing mental health support and tailored to the needs of sufferers. “Early intervention” advice will be supplemented with legal representation using Legal Aid funding to prepare defences based on disability discrimination, including test cases on new legal points where appropriate. A long-term goal is to develop accessible legal advice resources for sufferers who are not in a position to access face-to-face advice. The project will also seek to bring forward proposals for a service user-driven set of good practice standards for landlords dealing with tenants who suffer from mental ill health.